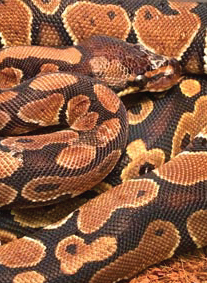 Get up close and personal with our new friends in our Reptile Roundup program for visiting school groups. You can also have them come out to your location! Call (972) 546-3050. 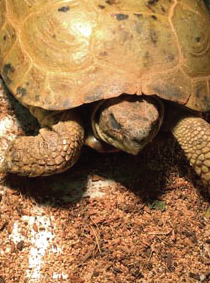 Russian Tortoises are from open, dry areas in Central Asia, China and Russia. They eat broad leaf plants. In 1968, two Russian Tortoises orbited the Moon on a Russian spacecraft! 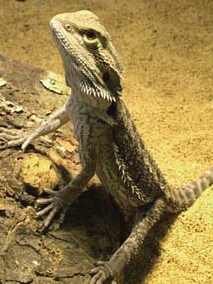 Bearded Dragons are omnivores, which mean that they eat both plants and animals. They are very active and can bob their heads and “wave” their front legs. 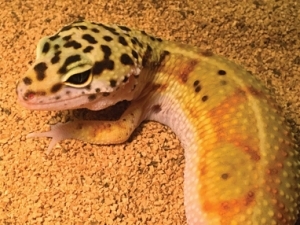 Leopard Geckos originate from rocky, dry grassland deserts in Afganistan, Pakistan and India. They eat insects, such as crickets. They use their good eyesight and sense of smell to catch their prey. Ball Pythons can grow to 4 to 5 feet long and can live for up to thirty years. They are carnivores, which means they only eat meat, like mice. They will shed their skin when they grow. They got their name because when Ball Pythons are frightened, they roll up into a ball for protection. Thelma and Louise might look the same, but they have different patterns on their skin. One of our staff can identify them for you.